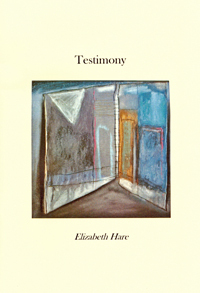 In poems that are down-to-earth and compassionate, Elizabeth Hare writes of a world where what unites us is more important than what separates us. Based on the poet’s experience, these poems describe, in unforced and engaging writing, wider realities from teaching in London’s East End, to working with homeless people and refugees. In 1660 six men declared the first version of what has become the Quaker Peace Testimony to the court of Charles II. To seek peace and to ensue it. holding pomades to their noses. He listens. He lifts his hand nervously to his neck. To do what tends to the peace of all. the wild-eyed Cromwellians of his nightmares. unnervingly calm. They do not remove their hats. They do not kneel. They look him in the eye. Bloody principles and practices we utterly deny. The men pause in their discourse. gentle, measured words of reason. this peaceful kingdom conjured by their words.